We walked to Woodpecker Hill restaurant for our first really good fancy meal in Auckland last weekend, celebrating our 27th anniversary. Yay! Super cool place, great food (I was actually tempted to write about the bok choy, but who writes about bok choy), really nice service… attentive yet unobtrusive. 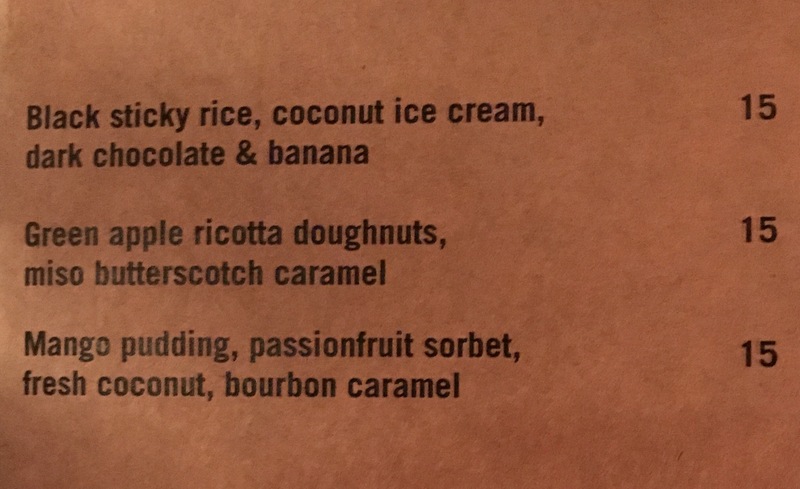 We chose the top dessert, and it actually might have been my least favorite course…. too many delicious things all rolling around together. Still scraped every milligram off the plate, however.